Once you download the initial 89MB file you will be greeted by a few EULAs, and then you can start to download a 1.57GB game file. When the second download finishes, you'll be able to choose from three graphics options, along with a few voice and music settings. Once you play through a short section of the game, you'll be greeted by another download so that you can install the next level. This will annoyingly repeat with each level unless you go back to the main menu, select Help, and then select Batch Download, which is another 852MB file. Even when you do that you'll still come across a few download screens here and there. So yeah, this is a large game. Be prepared to spend a good bit of time installing it in many separate pieces. At this point and time it's taking up 2.57GB on my GS8+. 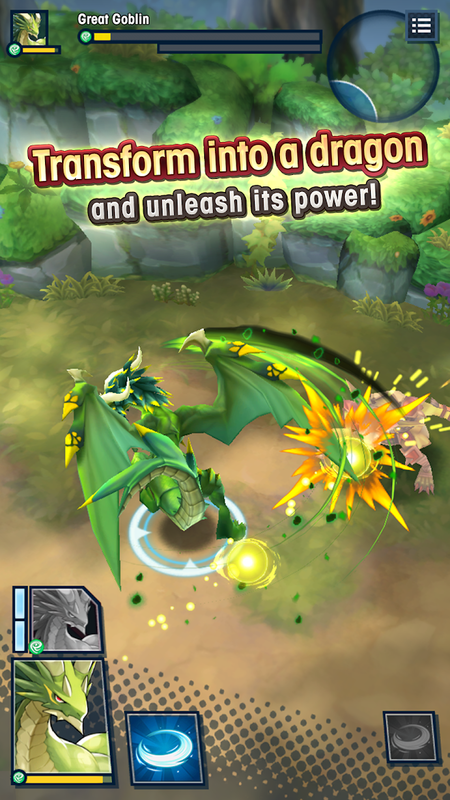 The gameplay offers your basic action RPG gacha setup. You get to run around small maze-like stages with gated off sections that require you to kill monsters to unlock the gate, and eventually, you make it to the bigger bad guy at the end of the stage that you must defeat. Once you crush the main baddie, you'll get to move on to the next level where you do the exact same thing. Story elements are sprinkled in between these stages, which definitely fleshes out the reason you are battling all of these monsters, but I can't help but feel it all falls a little flat. I've basically played similar games hundreds of times at this point, down to the exact same menu design and everything. Grinding your way up a never-ending tower of bad guys is nothing new. The controls are easy enough to pick up on the first playthrough. You drag your thumb on the screen for movement, and attacks are performed by tapping on the screen or selecting from a few special abilities. Since the entire game is displayed in a portrait view, this means you'll be playing mainly with one hand, which works well with the default controls. Really, I have nothing to complain about here, though controller support would have been nice to see. Now, one thing that really stands out to me is the fact that neither the navigation bar nor the notification bar disappears when playing. Both are always visible, which breaks immersion. There is also no way to fit the game to 18:9 screens. For me, there is no excuse for either of these issues at this point. Android's immersive mode has been around for way too long for devs to still ignore it. This just screams laziness. 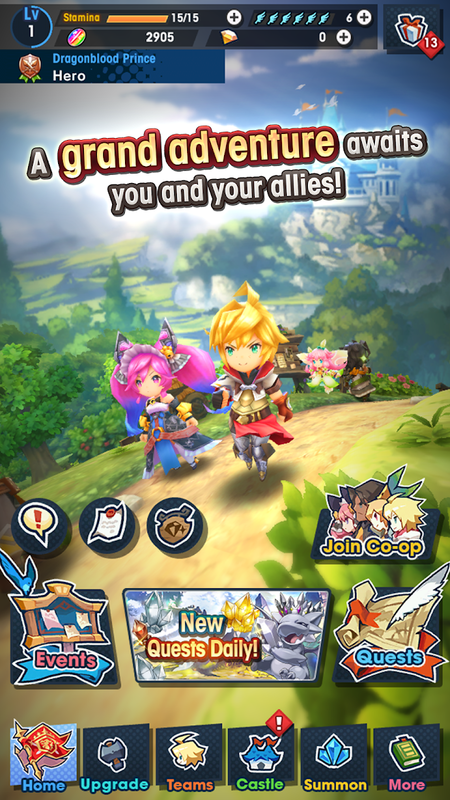 I feel like I'm playing an Android game from 2014 with how horribly Dragalia Lost fits my screen. Of course, I am a stickler for visual oddities like this, so your mileage may vary depending on how much any of this bothers you. 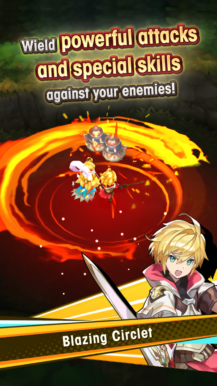 It's clear Dragalia Lost is a free-to-play title, so that means you can expect in-app purchases that range up to $79.99 per item. These IAPs are used mainly for a secondary currency that is, of course, difficult to earn through gameplay. There is also a stamina system, though you can make it for a good while before it totally runs out. Still, multiple currencies and a stamina system don't make for an enjoyable experience, since they only serve to frustrate players into spending their money. To me, Nintendo's Dragalia Lost is kind of an odd release. The music and art design are great and show a lot of polish, and then you see that no immersive mode exists and that both the navigation and notification bars never go away. I don't understand how so much work could be put into some areas, while others are completely ignored. At least the gameplay is somewhat enjoyable, and it should keep players interested for a bit, but it can get repetitive, especially if you've played similar gacha games before. At a certain point, you have to wonder if the "gameplay" is inconsequential to the actual design and purpose of the game. I'm still going to play this for a bit to see if things improve, but I can see myself getting bored with it very quickly, which isn't something I generally expect out of my Nintendo games. Back in September, I wrote the above article about the release of Nintendo's mobile RPG Dragalia Lost, but at the time it was only made available in Japan and the US. Many gamers from around the globe were left wondering when they could expect the title to launch in their country. Well, after five months Nintendo has finally released the game in many more regions. Residents located in the UK, Ireland, Australia, Canada, Singapore, and New Zealand can now get in on the fun and enjoy this highly-polished gacha RPG.